Buying or selling a home can be stressful as well as exciting. Knowledge, dedication, and most of all hard work are required to achieve success in real estate. I am always available for questions. Let me help you with all of your real estate needs. Look into any of the houses that we emailed her or asked about. At closing she was always ready and informed us on all the steps. We have used Yasmeen on two occation and will if other purchases are needed. She is the most helpful and available agent that I have met. Yasmeen understood our wants and needs from the start whether it was looking at property to purchase or listing ours. Yasmeen kept us well informed and was always accessible. She made us feel that our sale was a top priority for her. Keep up the good work, Yasmeen. 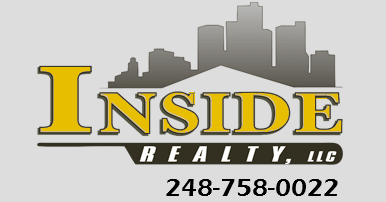 It was a pleasure meeting you and doing business with you and Inside Realty. Communication is key for most everything and Yasmeen was very clear on everything we needed to do. There were no surprises. Thank You! She went way above and beyond any of my expectations!!! Yasmeen is part of my family now and no matter if we never do another real estate transaction again, she will still be a part of our family. Yasmeen is the greatest realtor I have ever dealt with. She got the inspector to come with me and would answer every question I had. She was always there. Knowledge, dedication, and most of all hard work are required to achieve success in real estate.